If you’re looking to sell your house or investment property in Independence without using a real estate agent, we can help. In most sales in Independence, you are going to pay between 6 and 8 % in commissions and usually half goes to the listing agent that works for you and the other half goes to the agent who works for the buyer. You set a price that you agree to accept and out of that price you pay the commission to both Realtors. This is a standard custom for the seller to pay both sides. And really it does make sense. Otherwise, the buyer would be saying show me all these houses and whatever price we agree on, add your commission on top. Why should you pay for the agent on the other side of the table? Some people think that’s crazy – but, it’s just what’s typically done. 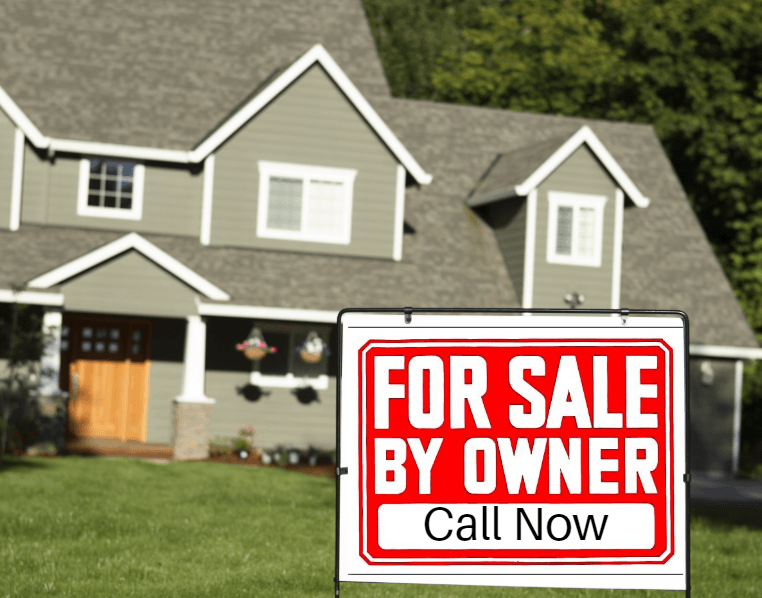 If you are selling your home For Sale By Owner, you can work the lack of a commssion to your advantage. Don’t underprice your property – take a look at other homes similar to yours that have sold recently. We like to look within the same subdivision in the past 6 to 9 months. You can look at sold comparables, often on sites like Zillow and Redfin. Just be sure to look at the heat map and the actual sold values, not necessarily the value they throw out there. Then as you look at those prices, note those that sold with the help of a Realtor and factor in a 6% commission on average to see what the sellers actually netted after paying a Realtor. Then you have a good idea of what your home is worth with a Realtor and without. Sometimes in Independence, buyers who aren’t represented by an agent won’t remember to negotiate the buyer’s side commission out of the price for themselves, so don’t remind them if you don’t want to pay them. Just don’t be surprised if it comes up during the negotiation, especially if you are selling to an investor buyer. You may want to consider offering 2.5% to buyer’s agents who will bring their clients to show your property. Sure, it’s a lot of money. If you’re pricing your property including that commission, you can always negotiate a better deal for a purchaser who comes without an agent. And by offering a commission to the buyer’s agent, more agents n the area will come and show your property to their buyers. On the other hand, if you have a buyer with no agent, representing themselves, quite often they will just reduce the offer price by the commission you are offering. Over 90% of transactions happen through the MLS – that’s the Multiple Listing Service. It’s the main database that all the brokers in Independence or any metro area use to access information for their clients on the houses, condos, land and investment properties for sale, along with data on the sold prices. Once upon a time, you had to pay a full commission to get your property on the MLS. Now in Independence, there are a few brokers who will charge you a fee just to list your property on the MLS. Often, you spend a few hundred bucks and you only pay a commission if the sale closes. Compared to the cost of a newspaper ad, the MLS is a cheap way to market your property to a very wide audience. But do keep in mind that these cut-rate brokers don’t do much. They put the home in the listing service, often they will provide you with a lock box and put it into the showing system so agents can schedule showings. But it’s up to you to do the heaving listing: to pick your price, figure out how to best stage your home, take good photos, do the write-up, and any marketing outside of what is automatic through the MLS. You even have to open the home up for showings to unrepresented buyers who call, often take all calls about the house. Plus screen the buyers, determine if they are qualified to buy, and do all the negotiations. Full- service real estate agents do earn their commission and it will be up to you to do that work. All the major real estate search sites like Realtor.com, Zillow, Yahoo Homes, etc. get data from the MLS. Chances are good that when you submit your listing in Independence to the MLS, information on your property will end up on most of the major sites within a few days. This can be to your advantage as this is where the majority of buyers go to find houses. Advertising is a gamble. Sometimes open houses in Independence Missouri can be a great way to sell a property, and sometimes they’re a waste of time. Same with newspaper ads, craigslist postings, fancy signs – sometimes they work, and sometimes they don’t. Putting up pointer signs around your neighborhood can generate some calls, and then a well thought out marketing flyer in a box on your sign can be helpful. 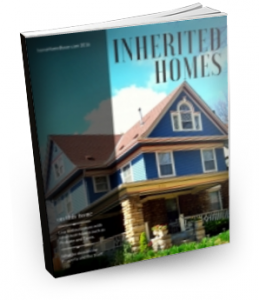 There’s a lot of free websites where you can post information like Zillow or Yahoo Homes. But often just putting up flyers and an open house isn’t enough if your house doesn’t appeal to the average home buyer. For the home that is in the perfect location, that is in excellent condition, that is staged nicely, the typical marketing can be quite effective when selling for sale by owner. But what about the less than perfect house? What if you have a home that is in just not the quite right location or maybe is right next to the really trashy house? Or if the home has been a bit neglected and needs a lot of updates to make it modern or if it needs a lot in repairs. Or maybe it’s an inherited home and it needs all the stuff removed, then fixed up, cleaned up and staged. Or maybe the home would not sell a few years ago, so you rented it out and now it has a less than perfect tenant. Homes in these situations may or may not sell quickly, it all depends on the demand for homes in the area and if the buyers are willing to deal with these problems. Many buyers are willing, but they will want a great deal. And it may take a lot of advertising before that right buyer sees your ad and calls you about the house. We fair prices for properties – and we can close fast (in as little as a week to 10 days if you need to). As buyers, you can call us and ask us to come and look at your house, no marketing needed. 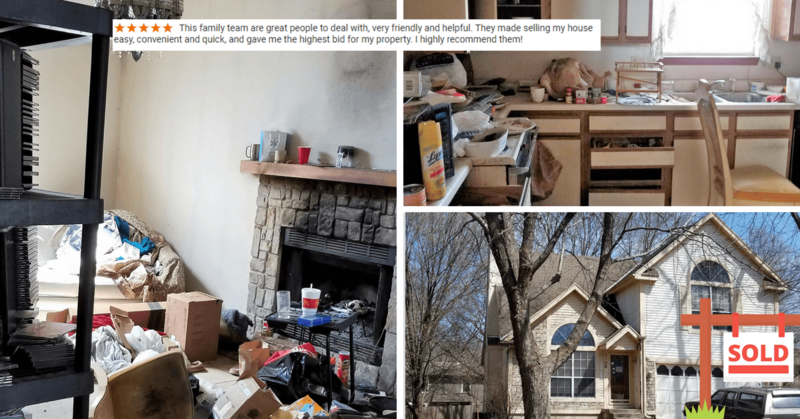 We don’t care if the house is cluttered and we are looking for homes that have a few problems so we can fix them up, that’s the business we are in. We buy them to fix up and then we may rent them out, we may resell them to other people looking for great homes in the area. 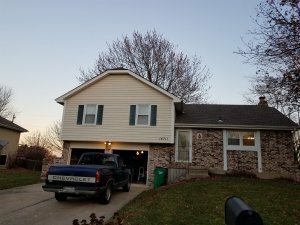 Sometimes we’ll purchase Independence houses, fix them up, then rent them out… sometimes we’ll fix them up and sell them to other people looking for great homes in the area, and a lot of other reasons, too – but we love to hear from people like you who are thinking of selling anywhere in Missouri. We’re investors who care a lot about Independence. Here’s how it works: You submit your house to us with the form below. We review your information and give you a call to learn a bit more. We discuss your situation with you and schedule a time to come take a look. We may make you an offer on the spot, but more often we like to come back to our office and review all the numbers and get back with you to make a solid offer. Once we agree upon a price and the date you want to sell us the property, we send all the paperwork to our trusted title company, who will then get to work and schedule a time for you and for us to come sign papers. We pay the title company and they in turn pay you. We have been buying houses since early 2000, so we have a lot of private partners who fund our deals. We don’t usually need to wait for loan approval or have to rely on an appraisal of the property. While we do sometimes have inspections, we never ask the seller to make repairs. Give us a call now at (816) 800-9044 or fill out the short form over here.